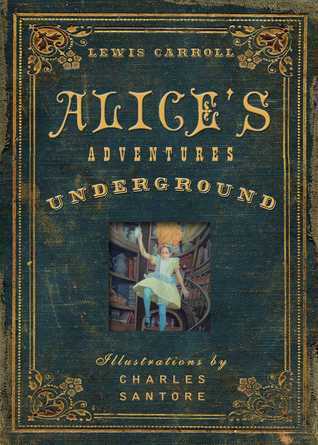 In celebration of the story’ss 150th anniversary, this elegant new collector’s edition of Alice’s Adventures Underground features never-before-seen drawings from renowned artist Charles Santore, and an introduction by revered literary scholar, Michael Patrick Hearn. When Lewis Carroll first put pen to paper and wrote what would become Alice in Wonderland, he provisionally titled the story:Alice’s Adventures Under Ground & and accompanied the text with sketches to bring his story to life. Now, in honor of the 150th anniversary of the book’s first publication in 1865, we are publishing that original story, in a faithful and unabridged adaptation, under its original title. Like that first hand-written draft, this stunning new collector’s edition features never-before-seen drawings throughout the story by celebrated New York Times bestselling artist Charles Santore (The Wizard of Oz, The Night Before Christmas), and an introduction from the premier authority on children’s literature, Michael Patrick Hearn. In 1865, English author Charles Lutwidge Dodgson (1832-1898), aka Lewis Carroll, wrote a fantastical adventure story for the young daughters of a friend. 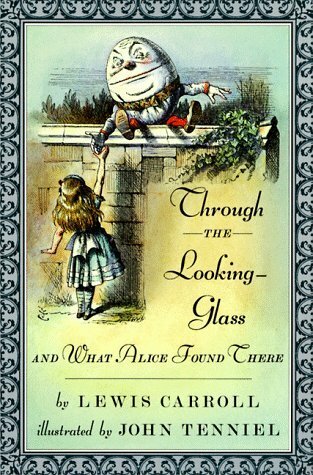 The adventures of Alice—named for one of the little girls to whom the book was dedicated—who journeys down a rabbit hole and into a whimsical underworld realm instantly struck a chord with the British public, and then with readers around the world. In 1872, in reaction to the universal acclaim *Alice’s Adventures in Wonderland* received, Dodgson published this sequel. Nothing is quite what it seems once Alice journeys through the looking-glass, and Dodgson’s wit is infectious as he explores concepts of mirror imagery, time running backward, and strategies of chess-all wrapped up in the exploits of a spirited young girl who parries with the Red Queen, Tweedledee and Tweedledum, and other unlikely characters. In many ways, this sequel has had an even greater impact on today’s pop culture than the first book.